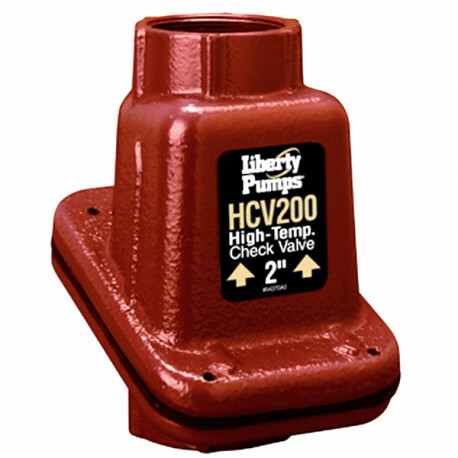 The Liberty Pump HCV150 is a cast-iron check valve with a 1-1/2" FNPT discharge. This Liberty Pump part is used for high temperature applications of up to 200F. The Liberty HCV 150 check valve features both vertical and horizontal installation.